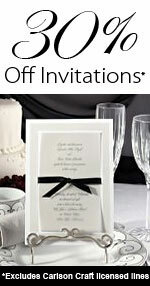 We have a wide variety of unique wedding favors that will add a special touch to your wedding and reception! We have a large selection of the most unique and popular wedding favors that will truly live up to your high expectations and impress the whole wedding party. Choose these unique favors of great value that will make your wedding day fun! It is important to recognize the many people that come together to enjoy the ceremony of two people in holy matrimony. See other Wedding Favors, Personalized Wedding Favors, Candle Wedding Favors, Beach Wedding Favors and Personalized Pen Wedding Favors. Remember any wedding favor can be personalized with personalized favor tags.